Ran across this wardrobe test photo of Bob a while back. 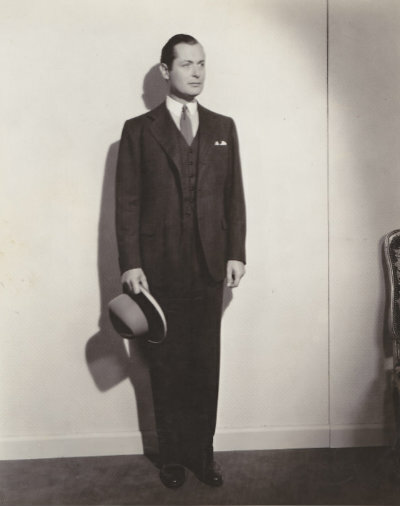 Ah, the perfectly dressed and handsome lad was he. You can tell he'd rather be most anywhere else but the studio playing dress up. 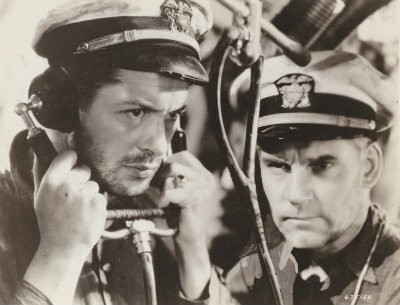 Below is a still from Live, Love and Learn (1937) with Bob wearing the same outfit. Note the hankie in his suit pocket is in exactly the same position. Now that's planning out a movie to the smallest detail. Love the hat. Real life can be too darn distracting at times... 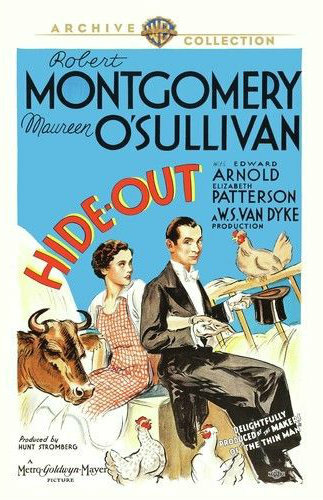 Meanwhile, Hide-Out (1934) is finally out on DVD!! Very good. 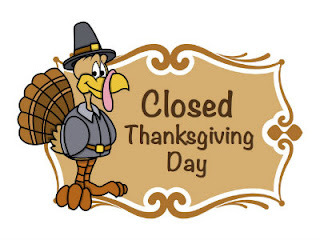 It was just released Nov. 13th, so I'm not behind too much. Still a few Bob movies out there to save. 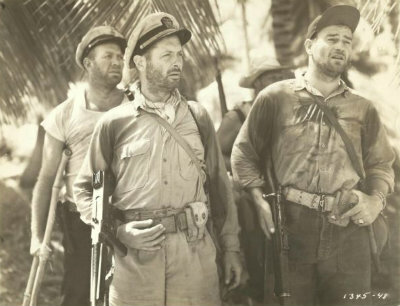 Personally, I'd like to see a decent copy of Unfinished Business (1941). It was shown at a Gregory LaCava retrospective in Los Angeles a few years back, so it exists! 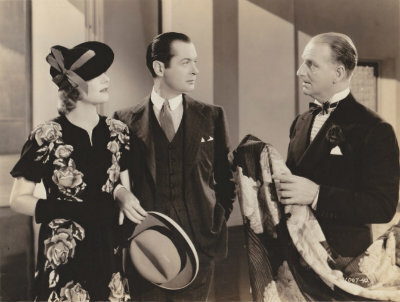 And when Letty Lynton (1932) is finally dug out of its legal morass, it really needs to be a remastered copy! After such a long wait, we deserve it! "SO YOU WANT TO VISIT A MOVIE STUDIO...Well, then, why not take a personally conducted tour through Metro-Goldwyn-Mayer. The accompanying pictures show what you would see on the studio lot in Culver City, California. PICTURE 5. 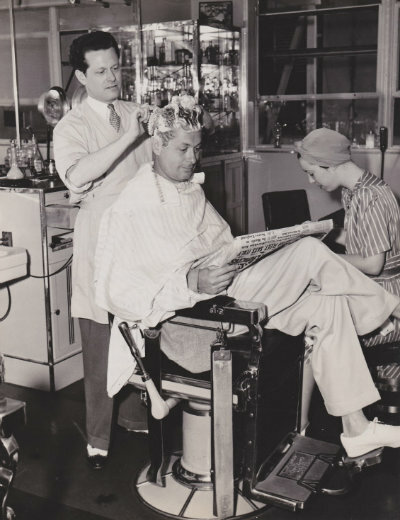 As we head for the sound stages we pass the studio barber shop, where Robert Montgomery reads the paper as he gets a shampoo from barber Carl Renner and a nail trim from manicurist Lola Bardsley." Love this photo. It appears some small photo concern took the photo and decided to try for a few extra dollars selling it as a souvenir of Hollywood. 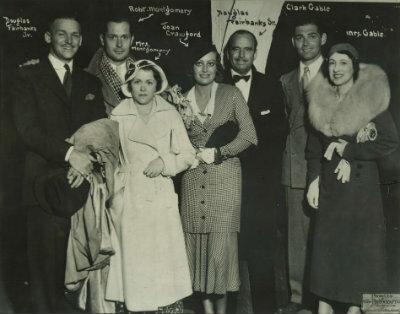 It is 10x13 inches and the parties are identified in the photo's background. I somehow wonder if they made any money off it since such items would seem to be rather pricey for the average movie fan in 1932, in the midst of the Great Depression and all. 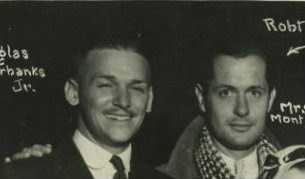 It is a unique photo of Hollywood royalty. 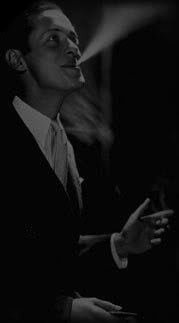 Douglas Fairbanks was at the top for a very long time, and his son Jr. is well on his way to a successful career of his own. And Mrs. Fairbanks Jr. (Joan, of course) is rather successful on her own. 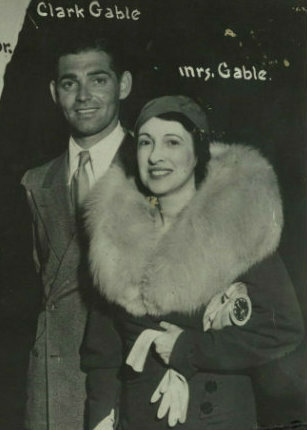 Bob Montgomery is doing okay for himself and there's that new super hot property, the young Mr. Gable. 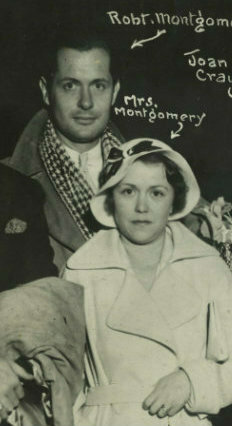 For a closer look at the couples, first we have Bob and Betty. Betty is seldom smiling in such photos. Was she uncomfortable in the group, or in front of a camera? Bob and Betty were rather formal in public. 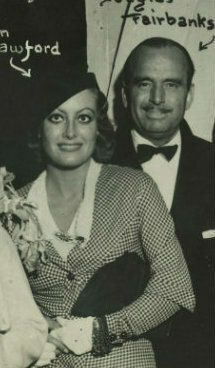 The main physical contact is Betty holding onto Bob's arm. That's why it is a bit strange seeing Bob's hand on Jr.'s shoulder. They were best buds at this time, a little "bromance" going on! 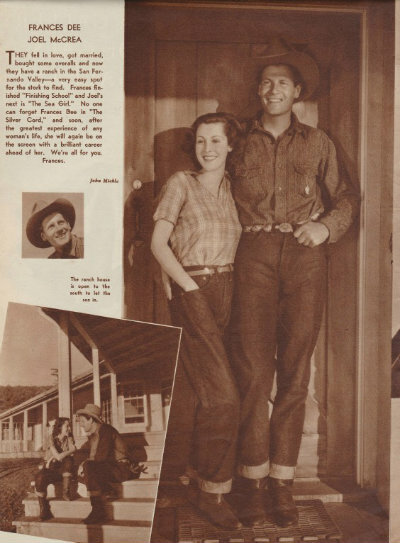 Joan and Doug Sr. were definitely not a couple.